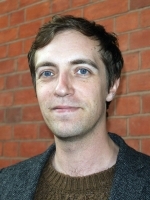 Peter is a teaching fellow in Psychology at Goldsmiths, University of London. Peter completed his PhD in Psychology at Birkbeck, University of London, under the supervision of Ulrike Hahn in September 2017. Before this, he studied Linguistics at Cambridge (BA) and Psychology at Oxford (MSc). For a number of years, he also worked as a tutor to young adults with autism and severe learning difficulties. Peter’s research focuses on both psycholinguistics and the rationality debate in cognitive science. Current interests include belief updating on conditionals; the semantics, pragmatics, and psycholinguistics of conditionals; framing effects in judgment and decision making; and the function of evidential language in argumentation and testimony.